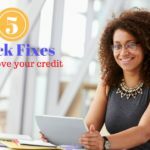 I’ve written previously about reasons you should care about your FICO credit score. While the five reasons that I listed are quite important, a commenter chimed in with one that I left out. Having a good credit score has enabled me to avoid deposits on many accounts, mainly utilities when I’ve moved. This was particularly helpful when paying a collective $400-500 in security deposits would have been a hardship. This is a great point, and one that is often overlooked. Whenever you move and set up utilities, you face the possibility of having to come up with a bunch of cash for utility deposits. But if you have a history of paying your bills on time, you can often get around this requirement. What is funny to me, is the fact that the people they require a deposit from are the ones least liking to have the money laying around. Not always the case, but I would think the majority of people with excellent credit have money on hand, and vice versa. Some people have never had consumer debt even while using credit cards, so they don’t really know Dave Ramsey or care about what he says. I only found out about him from a TV program on channel 13, also from some blogs. I read someone mention that he is even against student loans for doctors – if everyone follows his advice there’d be very few doctors around. I found out, by accident, another use for credit scores. When you open one of those online savings accounts they check your credit score. If they don’t like it or cannot find it, they can deny you one. FNBO direct refused my friend’s request to open an account because they couldn’t match her credit score. She had just married and changed her name, but the fact wasn’t reflected on her score. 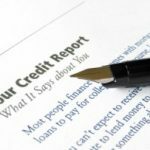 But instead of asking her, they just told – your credit score is bad (it actually was excellent, but the name mismatch somehow got translated into bad score by their program). She had a similar problem in a brick and mortar bank when she tried to open a CD, but the bank let her show them her marriage certificate. When she called FNBO direct they didn’t care, they just said – your credit is bad. I’ve never had to put a deposit down–perhaps because I’ve always paid bills on time and my credit score was in good shape when I got my first apartment. I’ll never know, because I didn’t care much about those details back then (not that I was unwise about money, but details like credit scores were beyond my financial radar). Yup. Dave is a bit hard to follow at times. This FICO topic has been on my mind for a while now recently, so I appreciate other thoughts from the PF bloggers. What other top 10 or 20 compelling reasons are there in keeping a good FICO score? 2) renting cars on trips? 3) Better credit card offers? Will: Believe it or not, not everyone follows Ramsey’s teachings (which can be a bit extreme). That being said, even if you’re a Ramsey disciple, having a good credit score will clearly help you in a case such as this. forgive me for being ignorant. But doesn’t Financial Councilors like Dave Ramsey advise not to care about the FICO score but to maintain a debt free lifestyle? This happened to us. We moved into an area where I had attended college. One of the bills I could not afford to pay when I moved out of the area the first time. It went to collections and I paid it once I had a job in my new town. When we moved back here they wanted to charge me $250 even though the account was paid off. We then signed up in my wife’s name and got no deposit. So basically I almost had to pay for a mistake I made 8 years ago. you can also normally avoid deposits by getting a letter of credit from your prior utility and telephone companies. I had no idea! I’ll have to test this out when we move soon. Thanks for the tip!